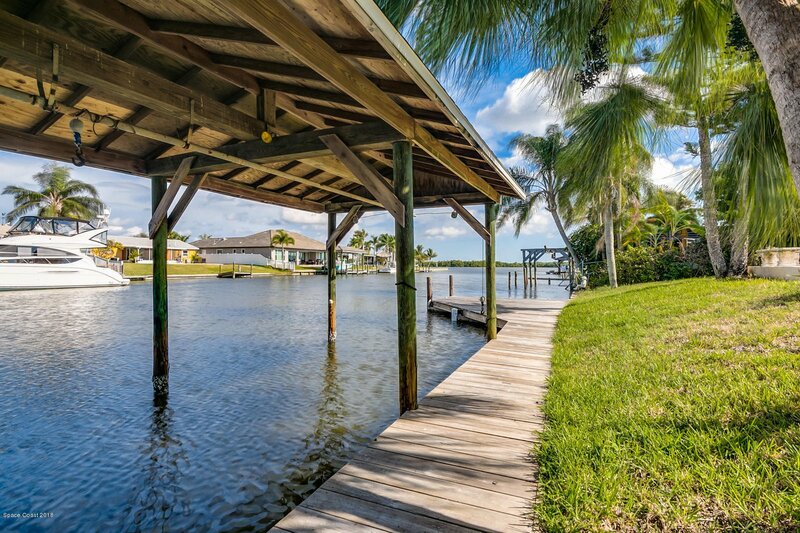 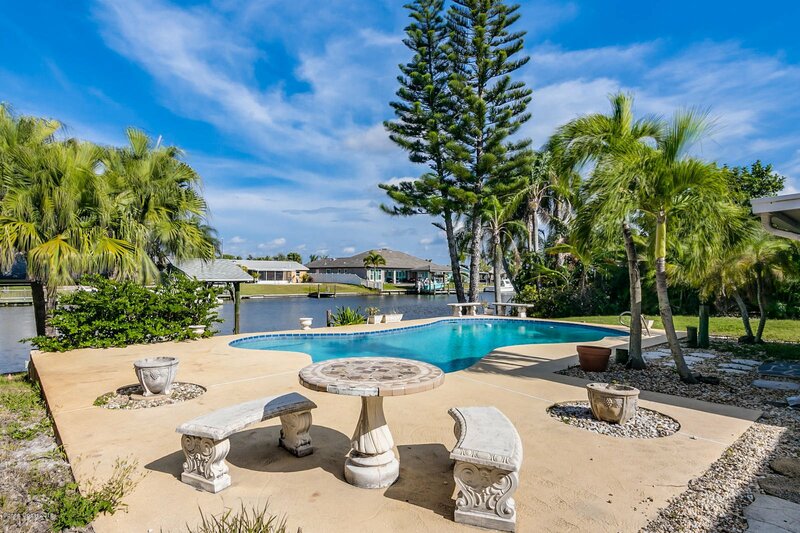 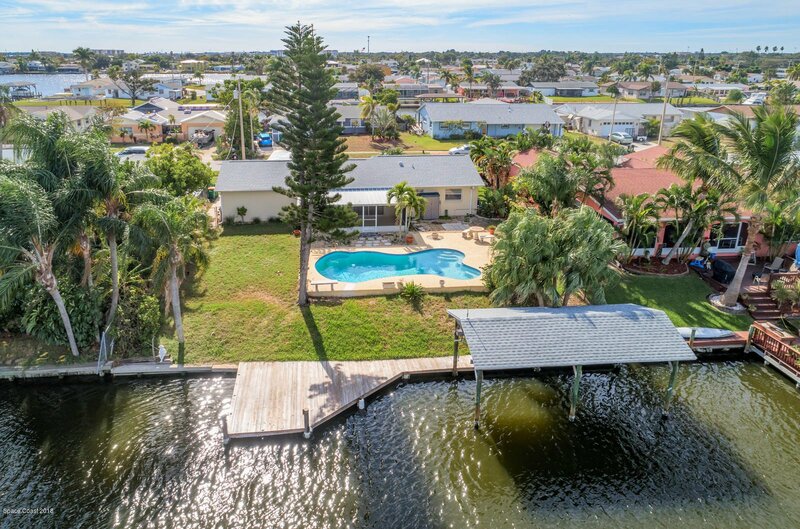 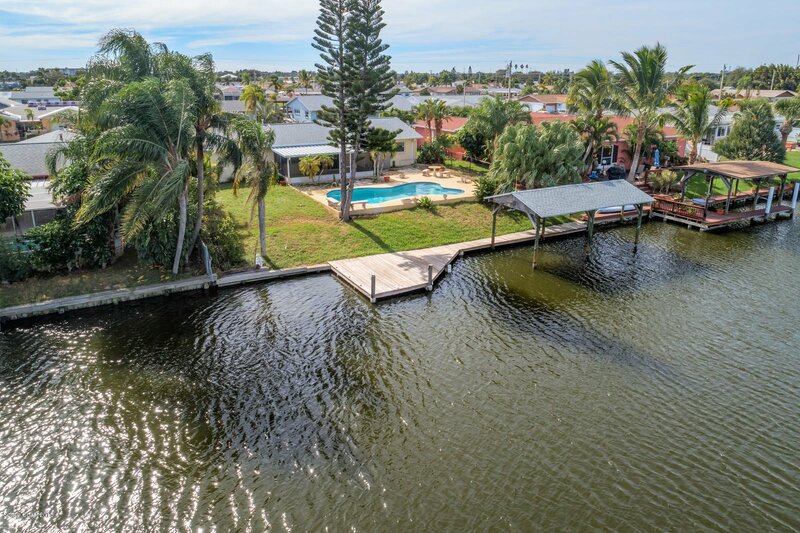 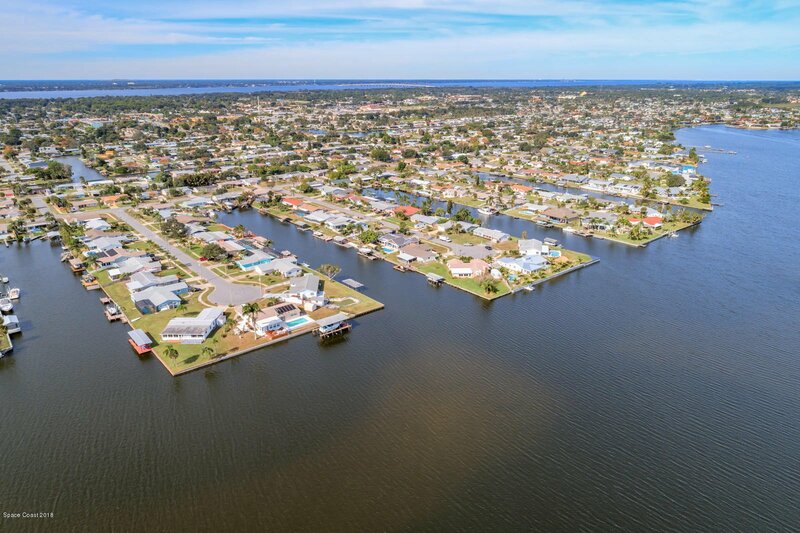 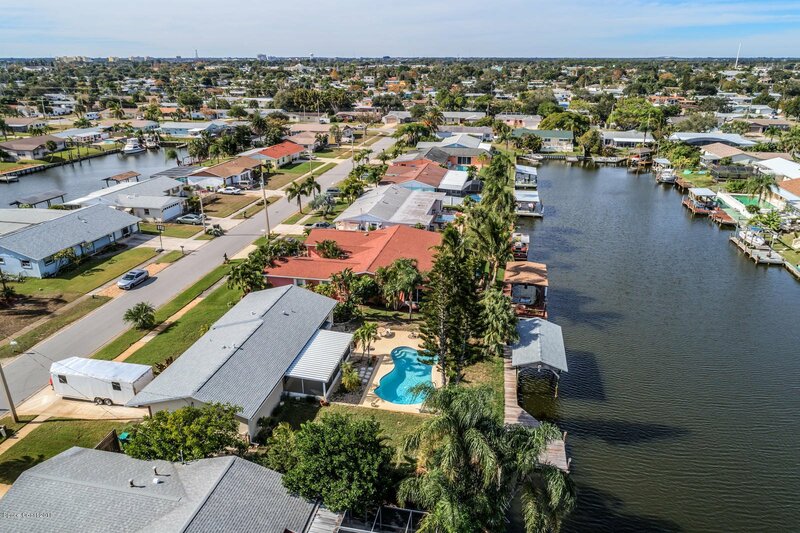 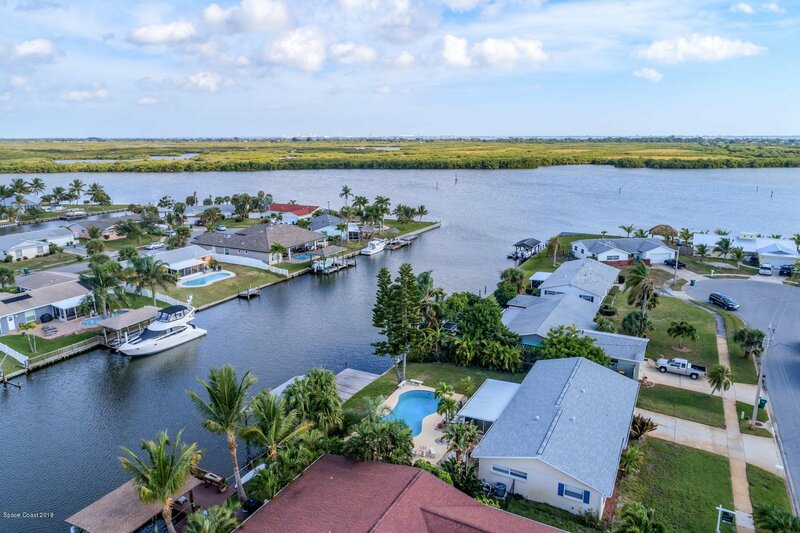 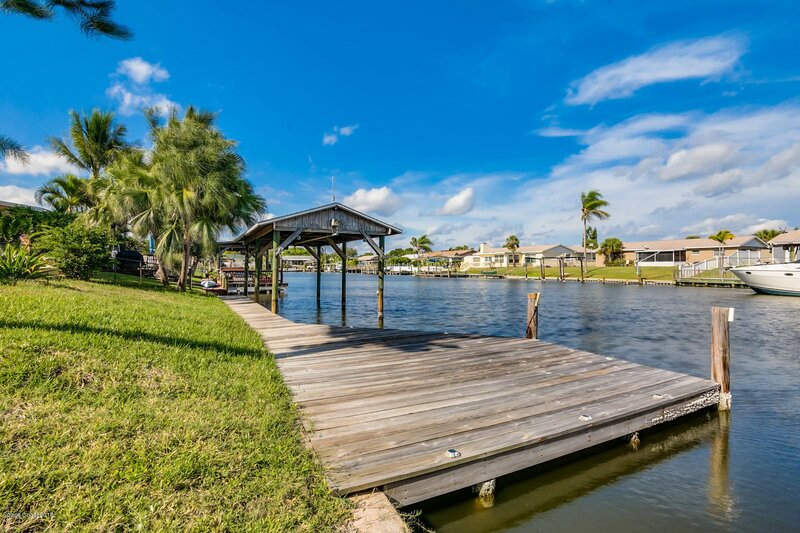 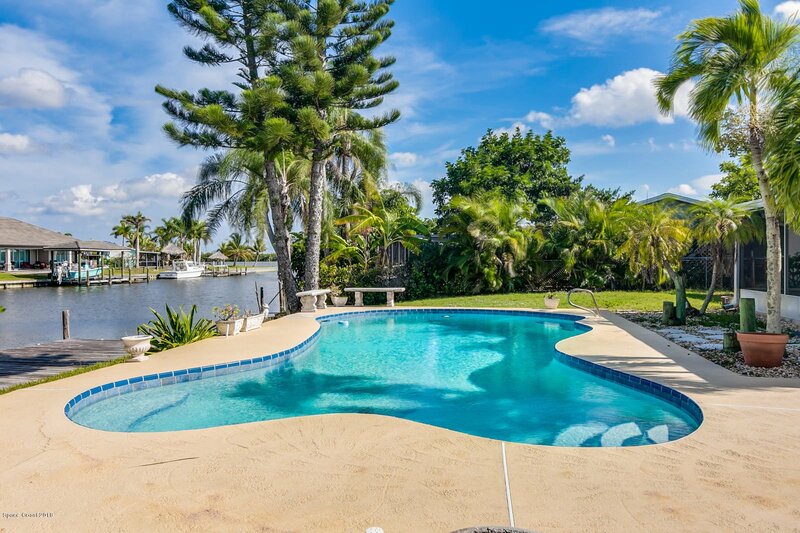 Bring your boat.....Merritt Island Waterfront - Direct access to Sykes Creek. 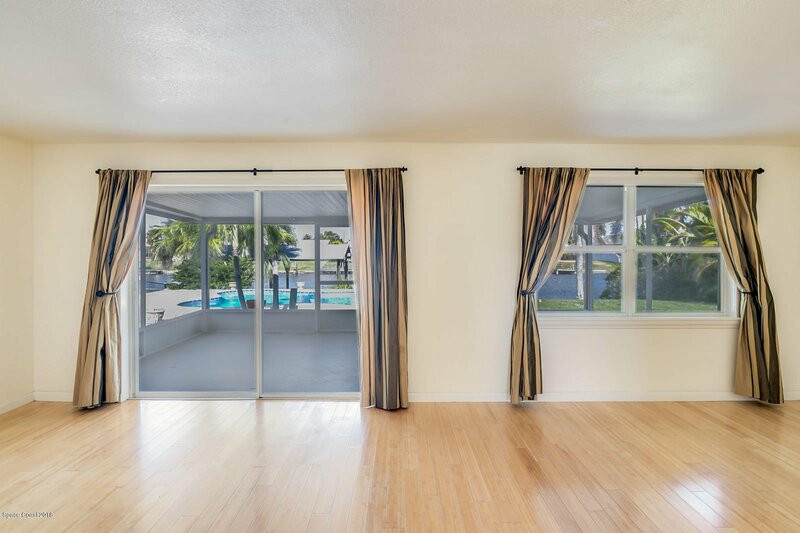 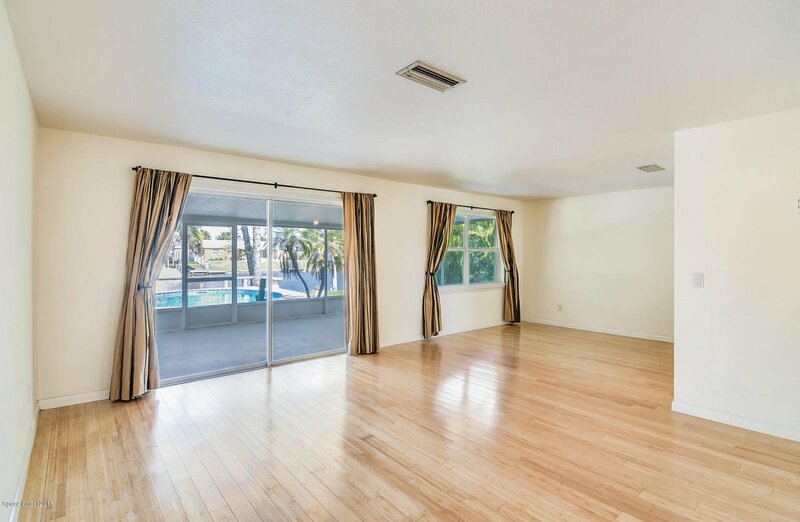 This 3 bedroom 2 pool home is located in the desirable Catalina Isles Estates and situated on a cul-de-sac and a wide, deep water canal at the mouth of Sykes Creek. 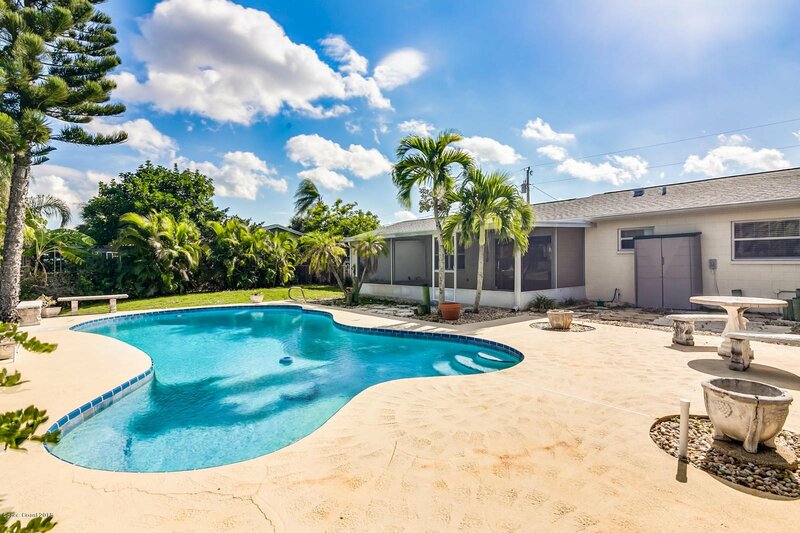 Featuring a large pool patio for entertaining. 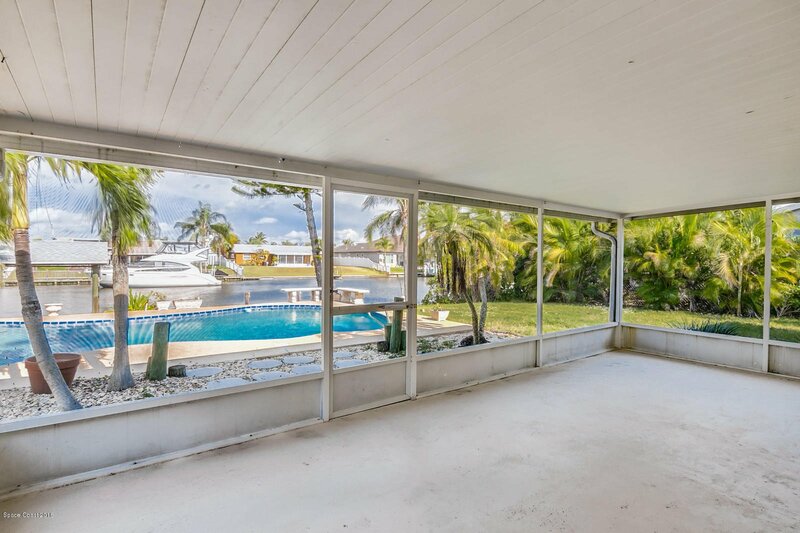 Includes a large covered boat dock, with power. 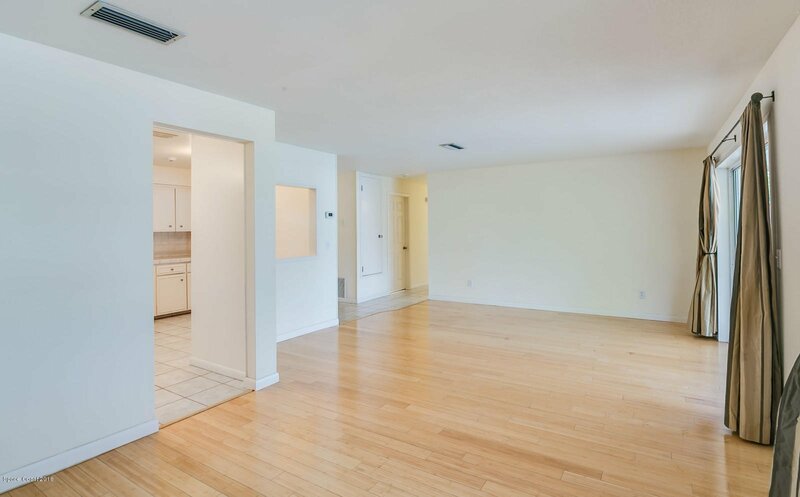 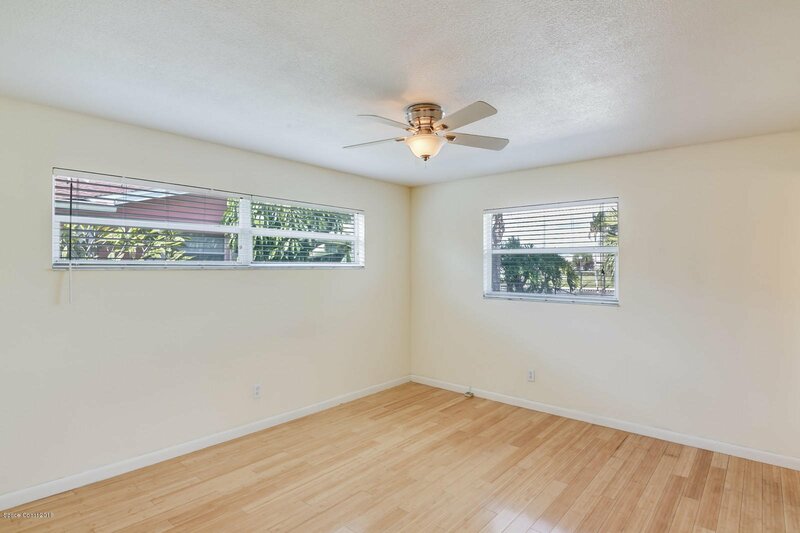 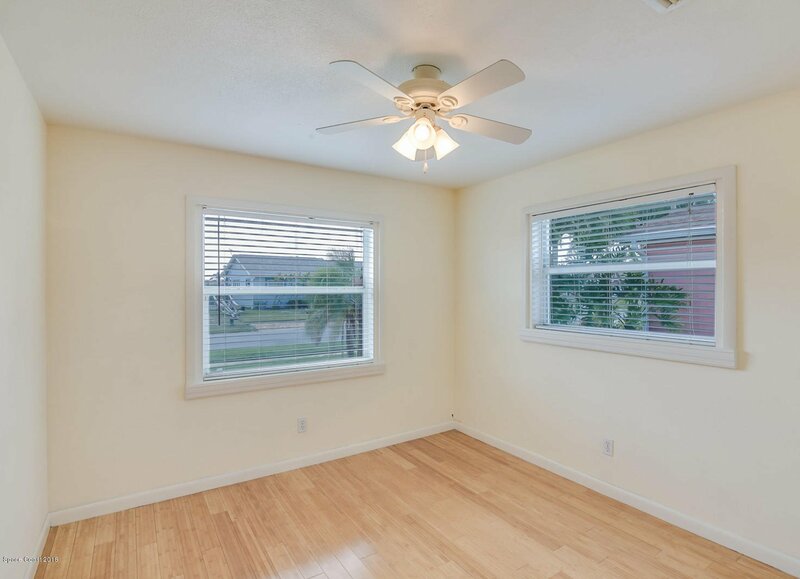 Bamboo flooring in bedrooms and living/dining room. 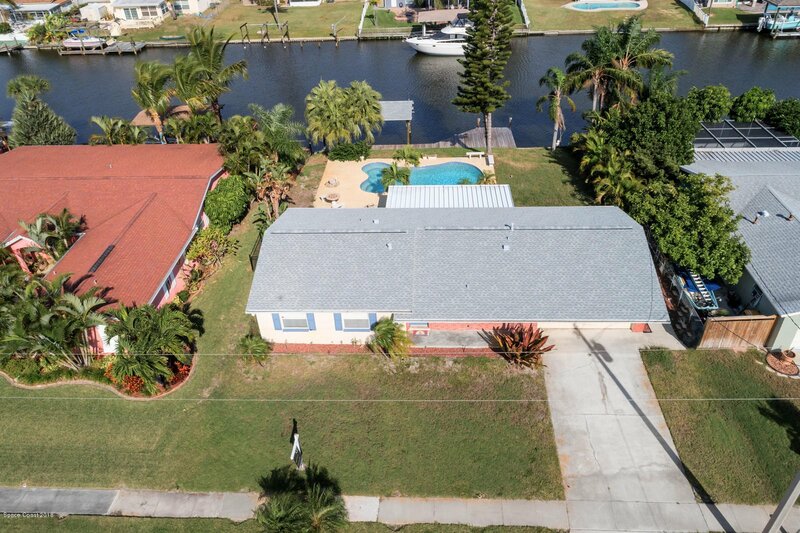 NEW ROOF on house and boat dock. 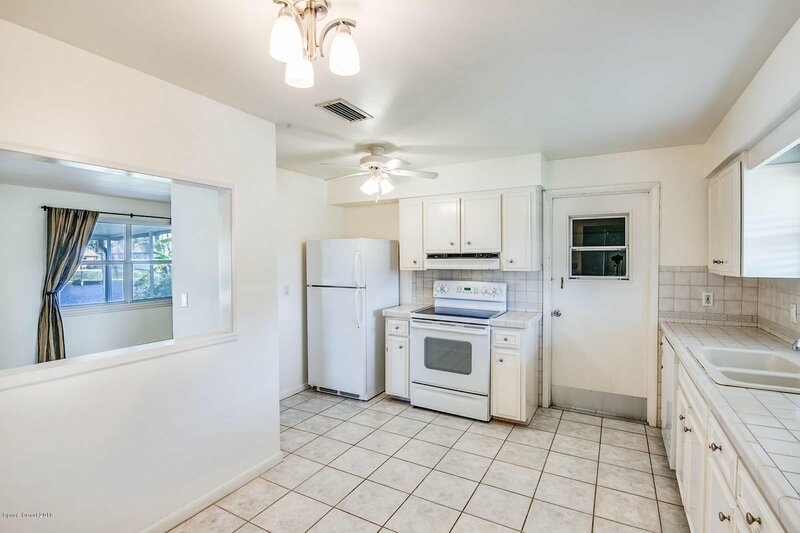 NEW A/C and newer water heater. 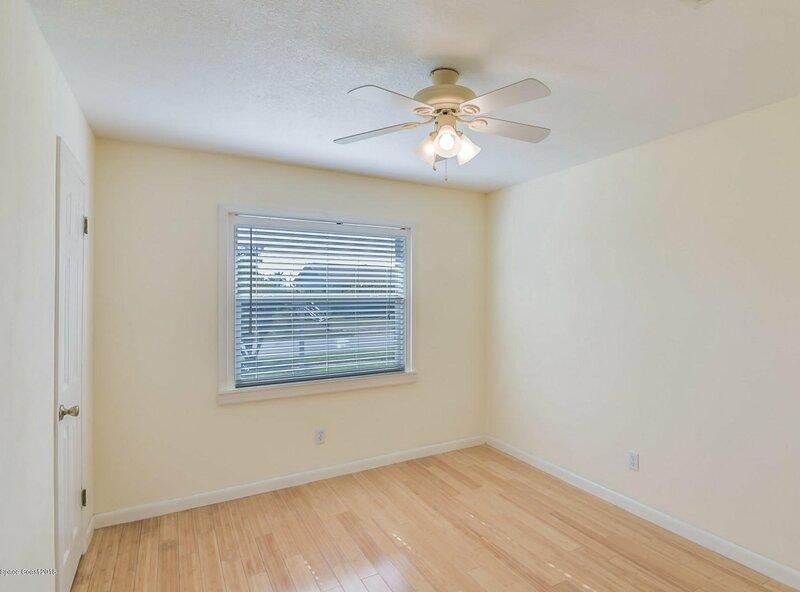 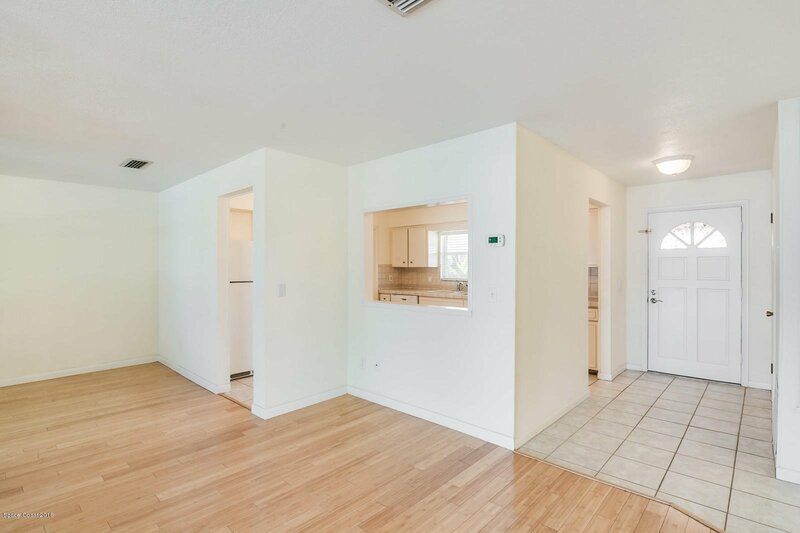 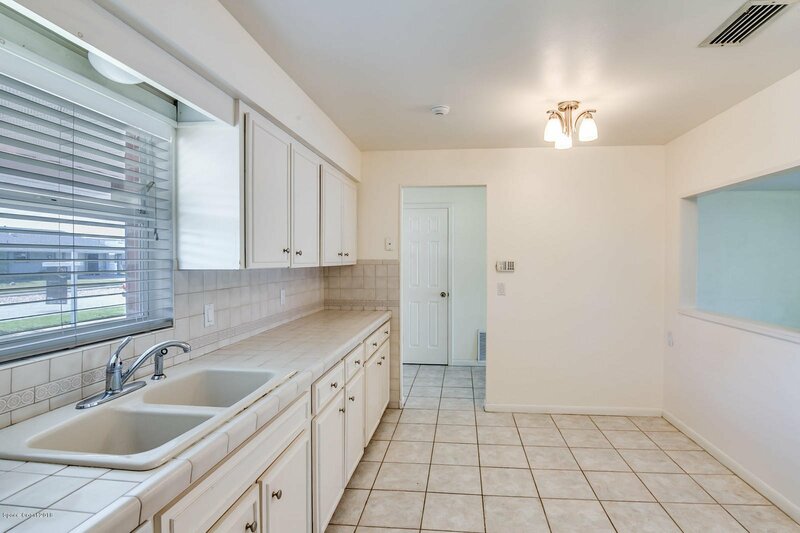 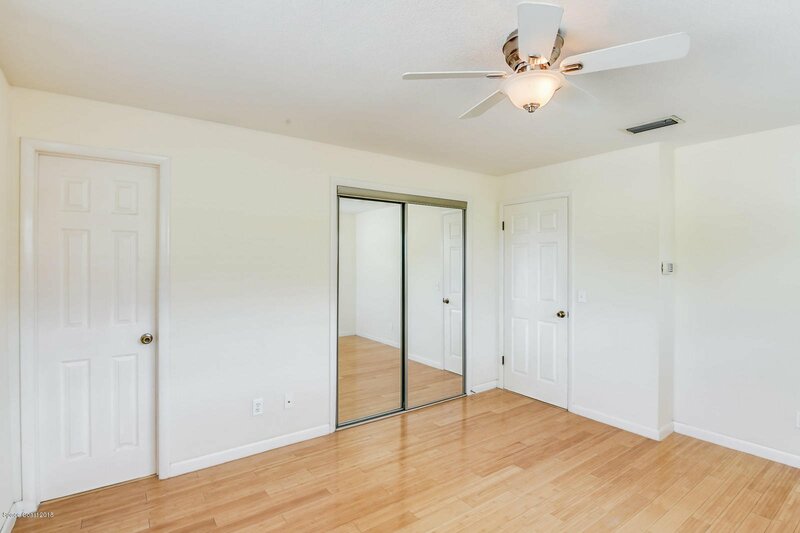 Plenty of room to make this home your own! 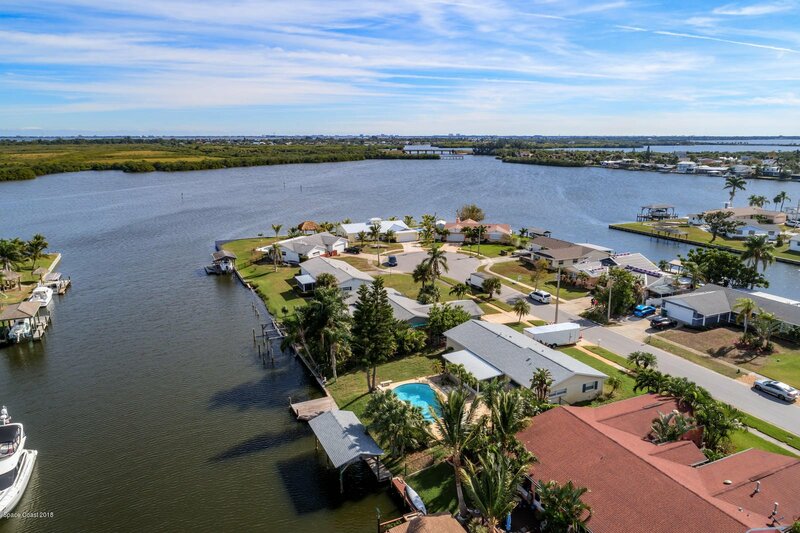 Close to great shopping and beaches. 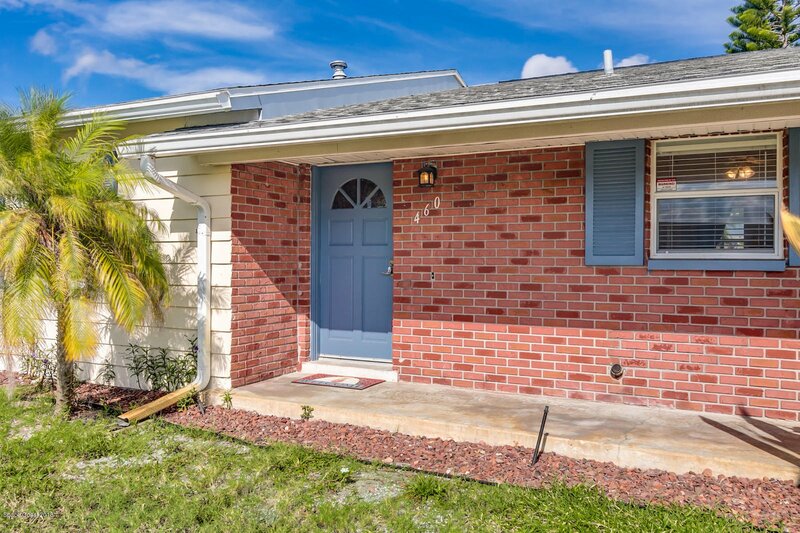 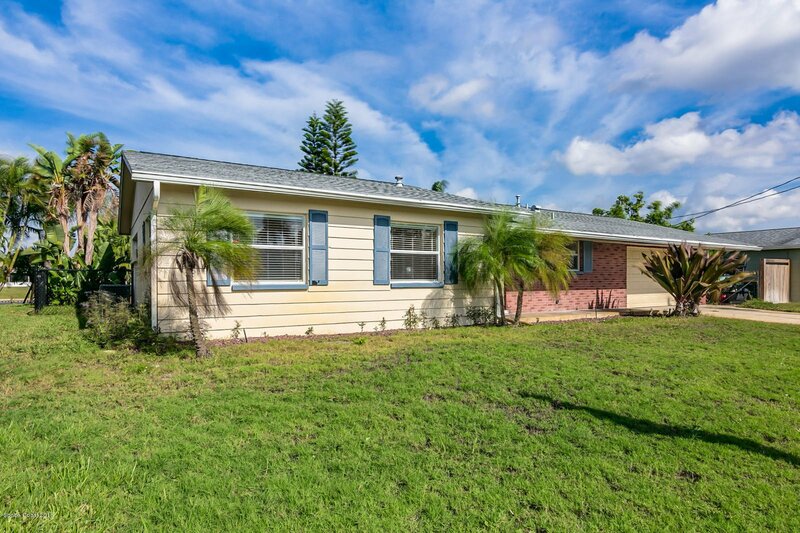 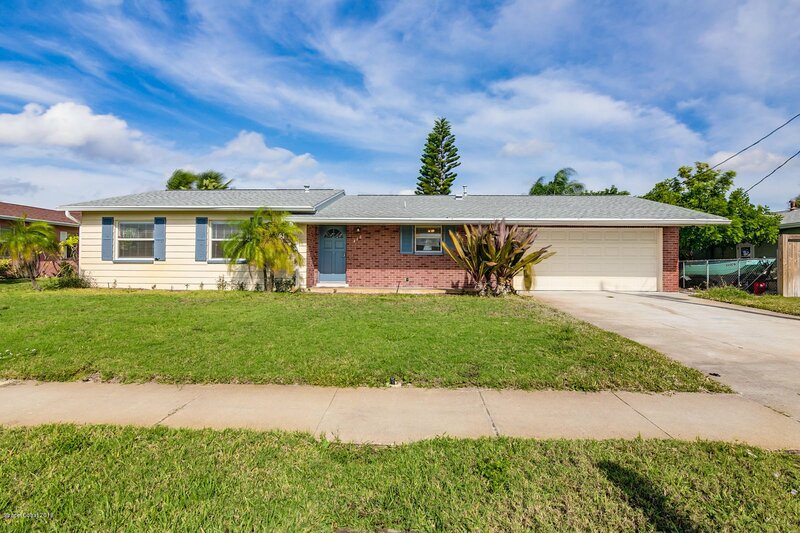 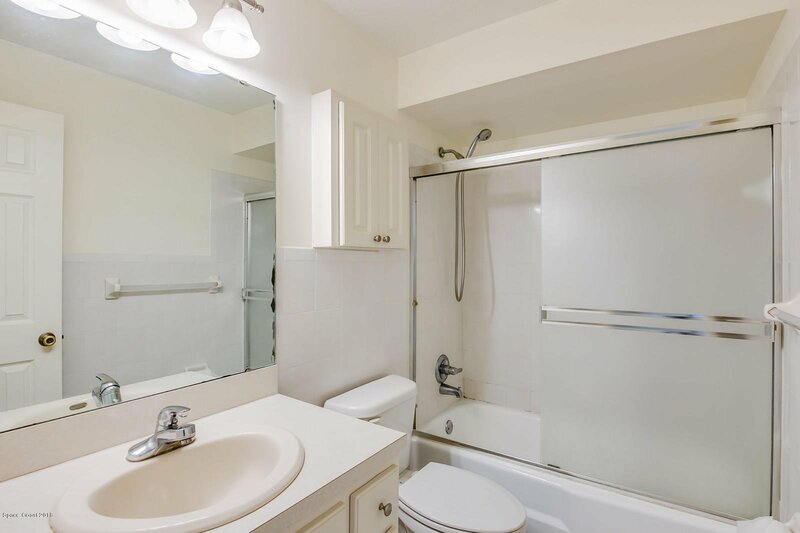 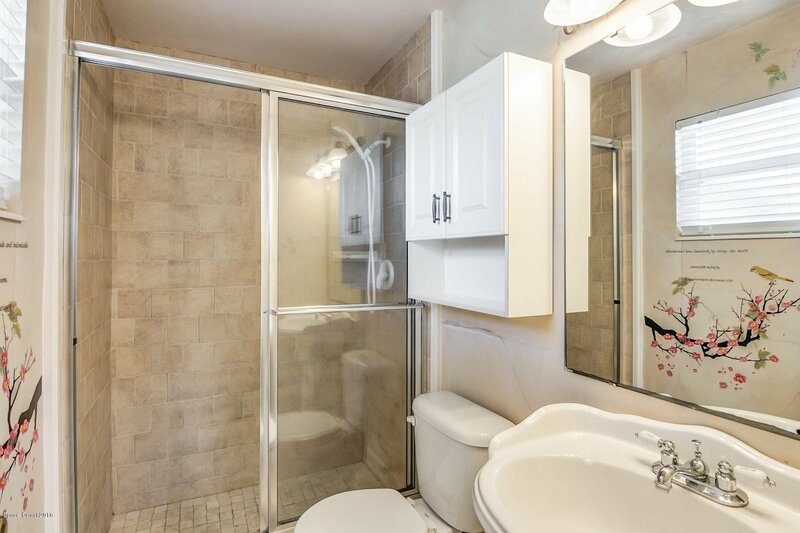 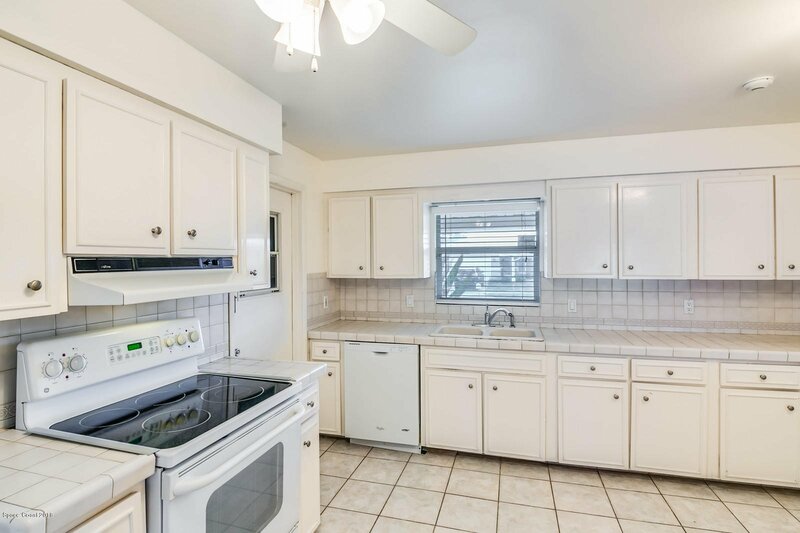 45 minutes to Orlando International Airport and Disney Parks.